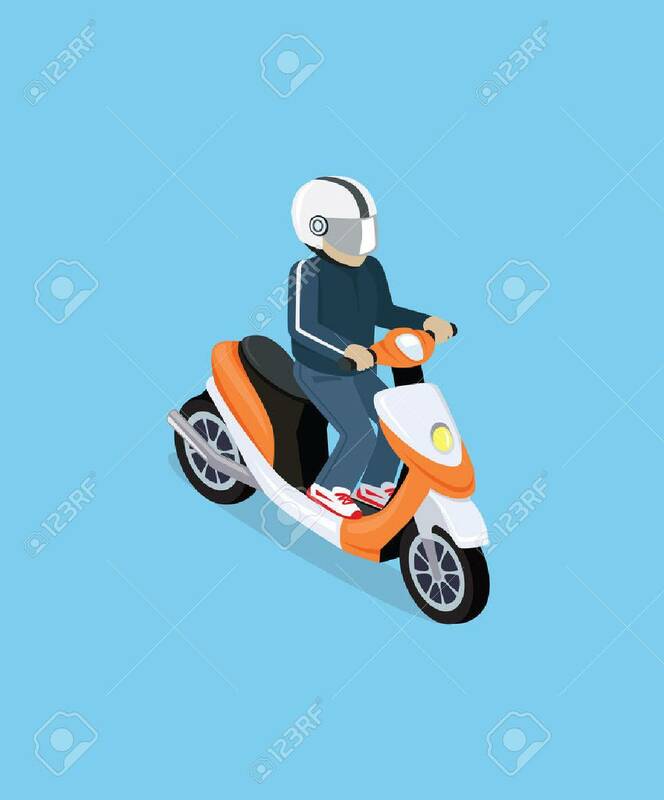 Flat 3d Isometric Motorcyclist On Motorcycle. Motorbiker With Motorcycle. Isometric Motorcycle. Motorcycle Isometric Motor Bike. Detailed Illustration Of Isometric Scooter. Isometric Biker Top View Royalty Free Kliparty, Vektory A Ilustrace. Image 50969644.